Leaders of the Anglophone Teachers’ Trade Unions have relieved public worries as to what transpired during a two-day meeting of the Ad hoc Committee charged with deliberating on the concerns raised by Anglophone teachers. Fears had been expressed that the resolutions presented to Prime Minister, Philemon Yang, had been tampered with. The teachers, who had been harassed by the public had met in Bamenda on Friday, January 20 and presented the resolutions that the Chairman of the Adhoc Committee, Prof. Paul Ghogomu, handed to Prime Minister, who is supposed to have handed same to President Biya. According to the leaders of the All Anglophone Teachers Trade Unions, they submitted 11 core grievances that plague the Anglophone Sub-system of education. They said before the deliberations ended on the second day, the trade union leaders through the voices of Dr.FontemNeba and Wilfred Tassang, unequivocally asserted in public declarations that the discussions had been free of intimidation and that as a result, quality work had been done on the terms of reference and deadlines. “We studied the resolutions presented to the Prime Minister and Head of Government by the Chairman of the Ad hoc Committee nineteen (19) core issues and six (6) other issues in the form of an appeal to the Head of State, and thereby acknowledge that the document is a true reflection of the two days of exacting work done by the committee members,” the union leaders had said. The teachers stressed that since the population is mounting pressure on them to know what transpired during the two days, they find it imperative for the press to disseminate the resolutions that they presented to the Prime Minister. The first recommendation appeals to the Minister of Secondary Education to continue with the on-going redeployment of teachers of Technical Education and should extend the process to that of Secondary General Education. The Ad hoc Committee also proposes that the Minister of Higher Education forwards to the Prime Minister its request for: the creation of another Higher Technical Teacher Training College, ENSET, for the Francophone Subsystem of education, the creation of a Higher Institute of Engineering and Technology for the English Subsystem of education which will follow the BMD system. The Committee also proposes that a Department of French be created in the Higher Teachers’ Training College ENS Bamenda by the Minister of Higher Education, as soon as possible. Time frame given the Government to realise these is January 31, and the 2017- 2018 academic year. The teachers also propose that the Minister of Higher Education redeploys all Francophone lecturers and administrators who are not fluent in English from the Universities of Bamenda and Buea as soon as the Vice Chancellors forward their names to him. “Give these two universities autonomy in the organisation of competitive examinations into professional schools,” the teachers further request. They have alsorequested the Prime Minister for a special recruitment of 500 lecturers for the Universities of Bamenda and Buea to make up for the shortage of lecturers of English expression. 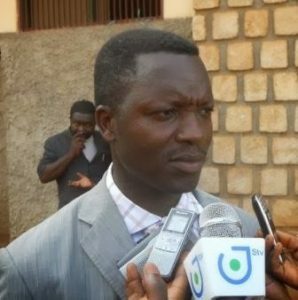 The teachers’ trade unions recommend that holders of the Baccalaureate who are graduates in English Modern Letters from the Higher Teachers’ Training College, the University ofBamenda should be redeployed to teach “Anglais” as the second official language in the French subsystem of education. Meanwhile, the Adhoc Committee rejected the “E” grade for admission into the major disciplines during competitive entrance exams into HTTC and HTTTC in order to promote excellence. The Committee recommends that the PTA and the unions be included in the follow-up and management of infrastructure projects in schools and the Government should do this in the 2017-2018 academic year. On the non-recognition of Religious Studies as an academic discipline despite the national slogan of rigour and moralisation, the Ad-hoc Committee recommends that Religious Studies be recognised as a valid academic subject and should give access to employment where necessary. The Committee suggests that a Department of Religious Studies be created in the Anglo-Saxon universities. On other issues, while theAd hoc Committee appeals for the release of all the youths arrested and detained in Yaounde, it calls on the Minister of Higher Education to avoid the accumulation of duty posts. The Ad hoc Committee also proposes that the Prime Minister creates a follow-up committee for the implementation of the recommendations.